Among the heavy industries, mining is one of the most fundamental and crucial. Slurry is a fixture across multiple sectors of the mining industry. Whether the slurry is run-off from drilling or wastewater laden with solids from other mining activities, moving it around your mine safely and efficiently is very important. To that end, you will need reliable slurry pumps in order to push it through your piping systems. That's where we aim to stand apart from other suppliers, as we are concerned with more than simply supplying you with a slurry pump. Instead, we strive to provide your business with a best-fit solution that will meet the needs of your project. The transportation of slurry should be properly handled, and we can assist you with that. We know the right pump for the job. We know which pumps are best suited to what tasks. Based on the type of slurry you are pumping, the distance it must travel, and any height requirements, we can supply the equipment that can best handle the application. A product stock as varied as the number of its applications. We do not believe in a "one size fits all" approach. Instead, we draw our stock from leading brands worldwide, plus we manufacture our own brands that are best fit. 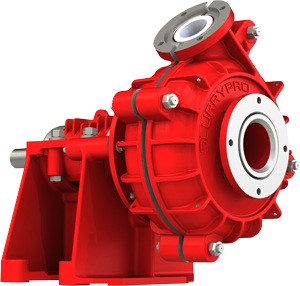 A versatile ability to implement turn-key slurry pump solutions. As a solutions provider, we don't just suggest and stock pumps; our service department can oversee installation as well. Global Pumps works hard to see that your deadlines are met on time. Our desire to build long-term business relationships with our customers. We are not here to make a sale and disappear. Instead, we will work with you throughout your pump's life. As a maintenance provider as well as a supplier of pumps, we understand what it takes to cut your repair costs down. Global Pumps provides Australia with a locally owned and operated choice for the purchase of slurry pumps. With a focus on reducing downtime for mining and chemical processing solutions we provide an extremely high value service. Ensuring that the correct pumps are in place at your site will lead to savings on maintenance and replacement costs over the long term. This helps to keep you on target to meet your financial goals while at the same time the pumps work hard to help you meet goals in production. For more information on our products or to talk to our experienced consultants, call us on 1300 145 622.